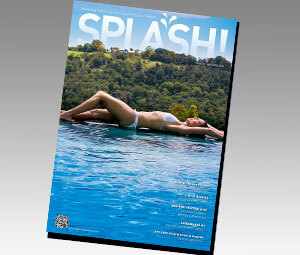 The 88th edition of SPLASH! has now been published. 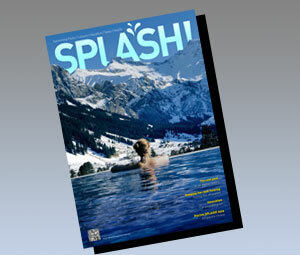 As usual, there’s plenty of essential reading for the swimming pool, spa and aquatics industries, with dozens of news stories and informative features including an article on how to keep the cash-flow going in the off-season, a showcase of new developments in pool filtration and a review of Piscine SPLASH! Asia in Singapore. When the season cools down, some retailers find it hard to keep the cash flowing, and turn to a side-business to help make ends meet. In the United States, many retailers bring in some extra revenue selling Christmas decorations. Obviously, that won’t work in Australia and New Zealand as our Christmas is during peak season. So what options are available for us in the Southern Hemisphere? One idea is heating – not just pool heating, but home heating. 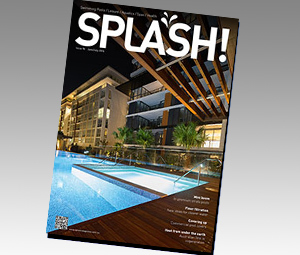 Christina DiMartino looks at innovations in the way we filter water for both the residential and commercial swimming pool sectors. Is it a stretch to compare updates and innovations in filtration with what we’re seeing today in electronics? Perhaps, but nonetheless, a day hardly passes without a company somewhere in the world introducing a new product that promises to keep pools and spas cleaner, more economical, more environment-friendly and do it all in a much less complicated way. Piscine SPLASH! Asia, the first collaboration between French company GL Events and Australian event organiser Interpoint Events has been completed successfully in Singapore – Asia’s cosmopolitan trading hub. The show was held over two days in May at the Marina Bay Sands Convention Centre and included an extensive seminar and education program. Interpoint held a SPLASH! Pool & Spa Trade Show in Singapore in 2011, but the 2013 event was the first joint show with GL, and the first combined Australian-European exhibition venture in the industry.